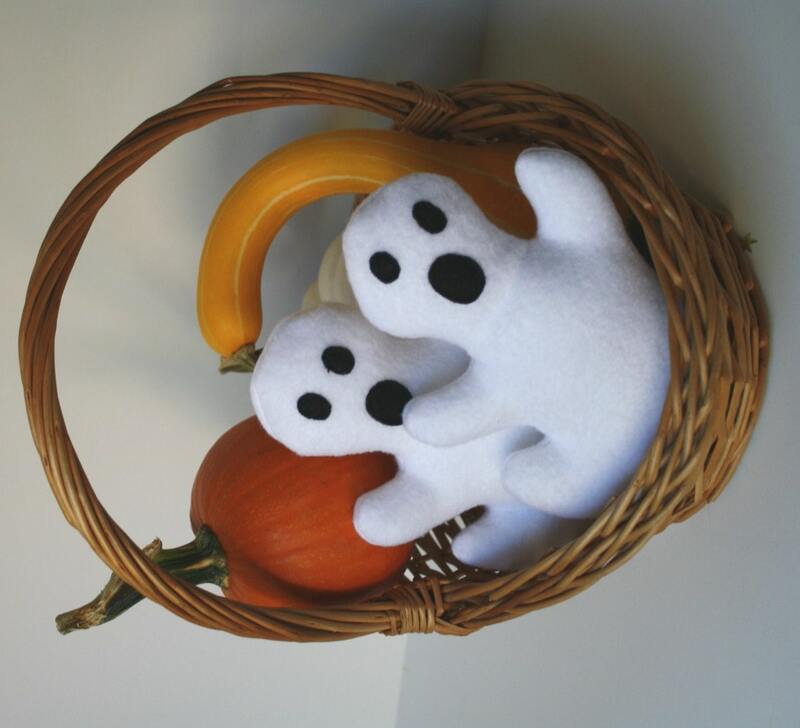 This little ghost dog toy is perfect for smaller dogs. The ghost is made from no pill polyester fleece and is machine washable and dry-able! He's stuffed with 100% recycled polyester stuffing and has a bellowed squeaker (they're squeaky-er and a little more rugged) inside. He measures 6.5" high by 4.5" wide. His features are acrylic felt. All of his seams are sturdily machine sewn. No toy is indestructible. Please supervise your pups playtime.